+ATK: A boon in Attack is without a doubt the best boon that Zelgius can receive, as it increases his already exceptional Attack stat even further. This is especially prevalent when utilizing Bold Fighter. +SPD: Speed is another suitable boon for Zelgius even when utilizing skills that guarantee follow-up attacks such as Bold Fighter and Vengeful Fighter. The additional Speed can greatly reduce that amount of damage Zelgius takes by preventing a wider range of follow-up attacks. DEF: Although a boon in Defense can further boost Zelgius’ already outstanding ability as a physical tank, it is of lower priority when compared to Attack and Speed and can be left at a neutral value. HP: Similarly, Zelgius prefers to keep his HP neutral in order to keep his overall bulk intact as well as effectively utilize the skill Panic Ploy. -RES: Resistance is Zelgius’ weakest stat and the best bane that he can receive as further dropping it hardly affects his overall performance. This set aims to take advantage of Zelgius’ status as an armored unit as well as Alondite’s built-in Distant Counter in order to have Zelgius cover many different bases at once. For his nature, a boon in Attack easily makes for the best choice as it significantly increases his damage output during both Player and Enemy Phase. A boon in Speed is also serviceable, as it can decrease the amount of damage Zelgius takes by allowing him to avoid follow-up attacks more easily. Fierce Breath is a phenomenal Enemy Phase skill and a core aspect of this set. Not only does it allow Zelgius to activate Black Luna more frequently, but it also gives him a boost to his raw damage when initiated on. Steady Breath is also suitable, as it is very similar to Fierce Breath but provides a boost in Defense rather than Attack. If neither are available, Zelgius’ native Fierce Stance makes for a good budget alternative by simply providing a strong boost to his Attack when initiated on. Bold Fighter is essential in giving Zelgius a powerful Player Phase presence. Not only does it guarantee his follow-up attack on initiation, the Special cooldown acceleration it provides allows Zelgius to potentially activate Black Luna every single round of combat. Zelgius’ excellent Attack coupled with the sheer power of Black Luna allow him to cut through just about any opponent regardless of who initiates. Since armored units are naturally restricted to one-movement, it can sometimes be tricky to get Zelgius in a position where he can initiate on his opponent. It is highly recommended that he or a teammate run the skill Armor March so that he has the movement to effectively utilize Bold Fighter. Thanks to his high HP, Panic Ploy also makes for a great choice of C skill by providing a massive advantage over teams that like to use Hone/Fortify buffs. Otherwise, the C slot can be replaced as needed to suit the team. Finally, both the Quickened Pulse and Quick Riposte Sacred Seals are key in maximizing Zelgius’ Enemy Phase potential. Quickened Pulse brings the initial cooldown of Black Luna down to 2. When combined with Steady/Warding Breath, he will activate Black Luna on his very first counterattack. This allows Zelgius to take out opponents in a single hit before they have the chance to double him. In particular, this can be the deciding factor in his matchup against Ayra and Valentine Hector. With Bold Fighter, this combination also allows him to activate Black Luna during his first round of combat against ranged units that are unable to retaliate. Quick Riposte is a more consistent choice that allows Zelgius to activate Black Luna every round of combat when initiated on at the cost of being more susceptible to follow-up attacks. This build trades the ability to retaliate against ranged units for the sheer power of a Brave Sword. With this purely offensive set, Attack is once again the best boon that Zelgius can receive in order to maximize his damage output. For his main skills, Death Blow further fits this playstyle perfectly by providing Zelgius with a staggering +8 Attack on initiation. At the cost of a slightly weaker Attack boost, Sturdy Blow makes for another great option by also giving Zelgius a solid boost to his Defense. The crux of this build is running Bold Fighter together with the Quickened Pulse Sacred Seal. In addition to attacking four times, this combination allows Zelgius to potentially activate Black Luna twice in a single round of combat. While this may be overkill a vast majority of the time, it swings highly disadvantageous matchups in Zelgius’ favor such as Nowi, Female Corrin, and Fallen Hardin. Since this set puts heavy emphasis on Player Phase combat, Armor March is crucial in order to give Zelgius the movement boost he needs to consistently initiate on his opponents. If unavailable, Armored Boots make for an acceptable choice of Sacred Seal in patching up his low movement. Outside of that, Attack +3 is a good choice in maximizing Zelgius’ raw damage output. This build focuses solely on Zelgius’ combat in the Enemy Phase. In addition to Attack and Speed, Defense also makes for a suitable choice of boon in order to strengthen Zelgius’ physical bulk. For his Special, one can choose to run Aether rather than Black Luna. Although this comes at the cost of both a longer cooldown and a significant takeaway from his overall damage output, Aether can increase Zelgius’ overall survivability through its healing aspect. Not only does Vengeful Fighter guarantee Zelgius’ follow-up attack in the Enemy Phase, it also has the additional benefit of Special cooldown acceleration, allowing him to potentially activate Black Luna every single round of combat. This lets Zelgius forego Breath skills in favor of more stat boost-oriented A skills. Since this playstyle is centered around Enemy Phase combat, Zelgius will often be close-knit with his teammates. As such, both Atk/Spd Bond and Atk/Def Bond make for effective choices that provide Zelgius with significant boosts to both his offensive and defensive stats. If unavailable, Zelgius’ native Fierce Stance remains a solid budget alternative by providing a strong boost to his Attack when initiated on. Once again, Panic Ploy makes for a fantastic choice of C skills due to the massive advantage it provides against opponents that use Hone/Fortify buffs. Smoke kills such as Atk Smoke and Def Smoke are also great choices. Atk Smoke makes Zelgius a better overall tank by reducing the damage of opponents around him after combat while Def Smoke boosts own damage against the affected targets. A good team-synergistic option is Ward Armor, as it allows Zelgius to be a benefactor on an armor-centric team. Last but not least, both the Close Def and Distant Def Sacred Seals compliment this Enemy Phase-oriented playstyle perfectly by reducing damage taken from physical and ranged opponents respectively when initiated on. With the release of the powerful new armor-exclusive skill, Special Fighter, Zelgius is one of the few that can make effective use of it in both Player and Enemy Phase. In addition to accelerating his Special cooldown regardless of who initiates combat, Special Fighter also has the benefit of preventing the activation of his opponent’s Special. However, Special Fighter does nothing to ensure follow-up attacks. As such, Zelgius will prefer a boon in Speed above all else in order to boost his ability to both perform and avoid doubles with his natural Speed alone. Moving on, the choice of A skill is dependant on if one wants to focus more on combat in the Player or Enemy Phase. Zelgius' native fierce Breath bolsters the power of his counterattack by granting an additional +6 Attack when initiated on. Meanwhile, Swift Sparrow makes for a great Player Phase-centric choice by granting Zelgius +4 Atk/Spd upon initiation. When taking this route, having Armor March in his C slot or an ally carrying Armor March is far more prevalent, as Zelgius natural 1 movement can make it difficult to consistently initiate on his opponent. Last but not least, Quickened Pulse and Quick Riposte are once again top skills in strengthening Zelgius’ Enemy Phase prowess. Quickened Pulse brings the initial cooldown of Black Luna down to 2. When combined with Special Fighter, he will activate Black Luna on his very first counterattack, allowing Zelgius to take out extremely fast opponents before they have the chance to double him. Alternatively, Quick Riposte works in ensuring Zelgius’ follow-up attack when initiated on, making it the best choice for a consistent performance in the Enemy Phase. The arrival of Zelgius raised the bar for what it means to be an offensive powerhouse. Not only is his statline very well distributed, Zelgius’ status as an armored unit grants him access to powerful skills such as Bold Fighter and Vengeful Fighter along with armor-exclusive buffs. While this alone makes Zelgius a force to be reckoned with, what puts him over the top in both power and versatility are his unique, uninheritable skills. Alondite grants Zelgius the coveted ability to retaliate against ranged units without the need to sacrifice his A slot, opening the door to powerful combination such as Distant Counter + Breath skills. Meanwhile, Black Luna allows Zelgius to leave a massive dent in if not outright kill even the bulkiest of opponents by cutting 80% of their Defense upon activation. If that wasn’t enough, Zelgius also has a unique B skill in Warp Powder. This allows him to traverse across the map more easily despite his status as an armored unit limiting his movement. Statwise, Zelgius’ immense 174 BST favors Attack and Defense. This allows Zelgius to dish out massive damage with his raw Attack alone while being an incredible physical tank. In addition, his Speed is nothing to scoff at either. At a base value of 33, Zelgius can avoid most follow-up attacks from mid-high tier Speed opponents, greatly reducing the amount of damage he takes. His greatest weaknesses stem from his poor Resistance and low movement. While the latter can be circumvented with team support such as Armor March, Zelgius will find himself taking heavy damage from magic-based weapons. Overall, Zelgius is a top tier unit with incredible prowess both offensively and defensively. He performs well with a variety of builds and can be an unstoppable juggernaut on almost any team. Having built-in Distant Counter, Alondite grants Zelgius massive coverage by allowing him to retaliate against ranged units as well as opening his A slot for powerful combinations such as Distant Counter + Steady Breath. 40 Defense? More like 8 Defense. Zelgius’ devastating unique Special cuts through even the bulkiest of units by resolving combat as if his opponent lost 80% of their Defense upon its activation. At a base value of 36, Zelgius hits hard with his raw Attack alone. This consistently grants him high damage output in both Player and Enemy Phase. With his physical bulk standing tall at a base value of 84, Zelgius performs exceptionally well as a physical tank. Being an armored unit comes with several benefits. These include having a much higher BST compared to other class types, access to class-exclusive skills such as Bold Fighter and Vengeful Fighter, and the ability to receive powerful buffs from armored teammates such as Hone Armor and Ward Armor. Despite his overall magical bulk being relatively high at 67, Zelius will still take significant damage from Resistance-targeting Attacks. This can make him struggle against magical damage dealing opponents who often take him out in only two hits. As an armored unit, Zelgius will receive 1.5x damage from armor-effective weapons. In particular, Heavy Spear and Thani are especially problematic for Zelgius, as he has the triangle disadvantage against them. Zelgius’ class type limits his movement to only one tile. This makes him reliant on Assist Skills such as Pivot or team support through the use of Armor March to be able to quickly move across the map. Zelgius greatly appreciates armored teammates, as they are able to provide him with powerful class-exclusive buffs such as Hone Armor and Armor March. Outside of armor-centric teams, Zelgius will appreciate any unit that can boost his mobility such as Refreshers and Guidance Fliers. Last but not least, Zelgius enjoys green allies that can cover his Weapon Triangle disadvantage. Armors: Hector, Effie, Winter Chrom, Winter Tharja, Amelia, and Halloween Jakob are all great teammates that can provide Zelgius with powerful buffs such as Ward Armor and Armor March. Refreshers: Olivia, Performing Inigo, Ninian, and Performing Azura are among many great choices that provide Zelgius with fantastic support through an extra turn, allowing him to move into more favorable positions. Guidance Fliers: Tana, Elincia, Cordelia, New Year Azura, and generally any other flier can greatly improve Zelgius’ mobility through the use of the skill Guidance. New Year Azura also has the additional benefit of doubling as a Refresher. Strong Greens: Dorcas, Halloween Henry, Nino, Fae, and Myrrh all perform well in checking both physical and magical blues that may pose a threat to Zelgius. Due to his poor Resistance, Zelgius is especially vulnerable against magic damage dealing opponents. Physically bulky blue units can also pose a threat to Zelgius as they are able to mitigate his damage. This is especially prevalent when they are running the skill Guard in order to prevent him from activating his Specials. Finally, armor-effective weapons, namely Heavy Spear and Thani are problematic to Zelgius due to their damage multiplier. Magical Damage: Mages such as Reinhardt, Linde, Ishtar, and Winter Tharja can do significant damage if not outright kill Zelgius. This also applies to dragons such as Nowi, Young Tiki, and Male Kana. Physically Bulky Blues: Fallen Hardin, Effie, Winter Robin, Female Corrin, and Lukas can easily mitigate the amount of damage that Zelgius can do thanks to their high physical bulk and Weapon Triangle advantage. In addition, units that utilize the skill Guard can potentially wall him off completely by preventing him from activating his Special. His Seal should be Warding Stance 3, but that's not an option here yet. I didn't mean to build Zelgius, it's just that he kept showing up when I pulled for red so I took pity on him. Special Spiral wasn't in the list when building, that is what is intended. If a Vantage seal comes out that will be subbed in. This build, after charging the first one, will allow Black Luna to be charged at the start of every engagement (barring the effects of weapons such as Witchy Wand or skills such as Guard). The goal is to kill before any counterattack happens with pure attack. 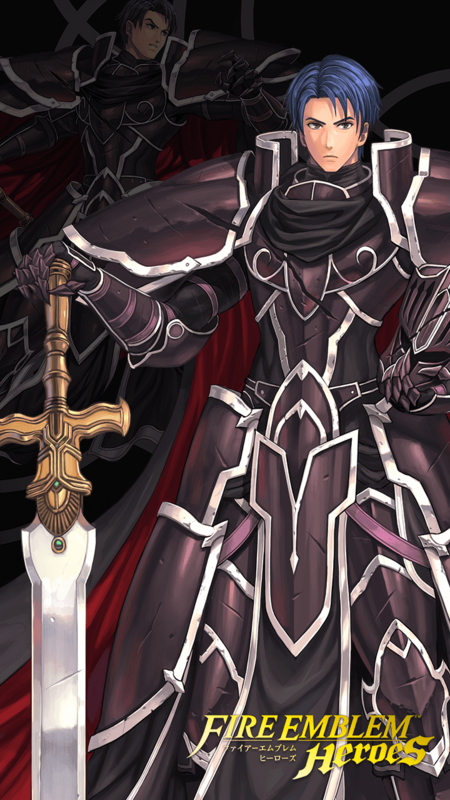 With a Vantage seal Zelgius could continue to survive after tanking damage by Black Lunaing his opponents to death before they can attack. This Zelgius build aims to focus on his high speed (for an armor) and make him a powerful mixed phase threat with Special Fighter. Forgoing Alondite in favor of a refined Slaying Edge+ grants Zelgius two things; reducing Black Luna&#039;s charge to 2 works more nicely with Fighter Skills and makes it activate it more often, but he also recieves a boost to his speed. With a +Spd nature and the speed refine, Zelgius has a base 39 speed to work with. Distant Counter allows Zelgius to react to ranged threats, first tanking a hit and then firing off powerful specials in return. If Distant Counter is not available, other A skills like Swift Sparrow, Kestral Stance, Close/Distant Defense, Speed +3, etc. will work as a stuitable replacement, each helping Zelgius in different situations. Zelgius takes advantage of his high speed to forgo the normal Bold/Vengeful Fighter and opt instead for the Guard effect provide by Special Fighter. With Special Fighter, Zelgius charges Black Luna in one interaction and denies foes the ability to charge their specials. This makes him more reliant on his speed for doubling, but can be circumvented by his nature, refine, team support and other skills. Even/Odd Speed Wave offers Zelgius more speed on alternating turns, allowing him to double more threats. However, Armor March, Hone/Fortify Armor, Panic Ploy, etc can be suitable replacements depending on team composition. The seal depends mainly on what kind of threats you need to take on. Speed +3 offers a small speed boost on both phases to help double threats, taking him to 42 speed. Alternatively, Darting Stance and Quick Reposte could be used to give him an advantage during enemy phase, when threats with higher speed and Swift Sparrow could outspeed him otherwise. Armored Boots could be used to allow him to reach targets quicker. Panic Ploy could make use of his boosted HP (from the refined weapon) to penalize foes for using class based boosts. Lastly, Close Defense, Distant Defense, Atk/Def Bond and other common seals could be used instead, each offering Zelgius a unique advantage. Sacrificing Alondite seems like an odd choice, but activating Black Luna more consistantly makes a significant difference in modes where you need to engage multiple enemies. Having a teammate with Hone Armor is a must for this build, giving Zelgius the ability to reach 48 speed with a +Spd refine, nature and Speed +3 Seal. The weak fall. The powerful try. But the gods will triumph. This build is made to capitalize on Zelgius’ exclusive special: Black Luna. Now, how do we do this? Making it so he can initiate it on turn one and decimate anything in his way. If you truly want to have some fun, you can use Special Spiral from a Lewyn instead of Bold Fighter, but Bold Fighter gives you a guaranteed double, so whatever you desire. Utilizing the new darting stance seal from Tempest Trials, it's a suitable replacement for an all melee build for Zelgius using a Wo Dao+ over his Alondite + Quick Riposte. His neutral 33 speed can be bumped to 39 on the enemy phase now, preventing a plethora of doubles, at the cost of no DC. His Bold fighter allows him to double on the player phase anyhow. Most high tier arena units are melee focused, leaving this build more optimal than a standard Quick Riposte seal build-- when that seal can go to other useful low speed units instead. AlonditeEnables counterattack regardless of distance if this unit is attacked. Fierce Stance 1Grants Atk+2 during combat when this unit is attacked. Fierce Stance 2Grants Atk+4 during combat when this unit is attacked. Fierce Stance 3Grants Atk+6 during combat when this unit is attacked. Warp PowderIf unit's HP ≥ 80%, unit can move adjacent to any ally within 2 spaces.